Witness the transition of our front yard from neighborhood eyesore to the garden of my dreams! This miracle was performed by George Schandelmier, Jr. Landscaping of Vallejo CA. 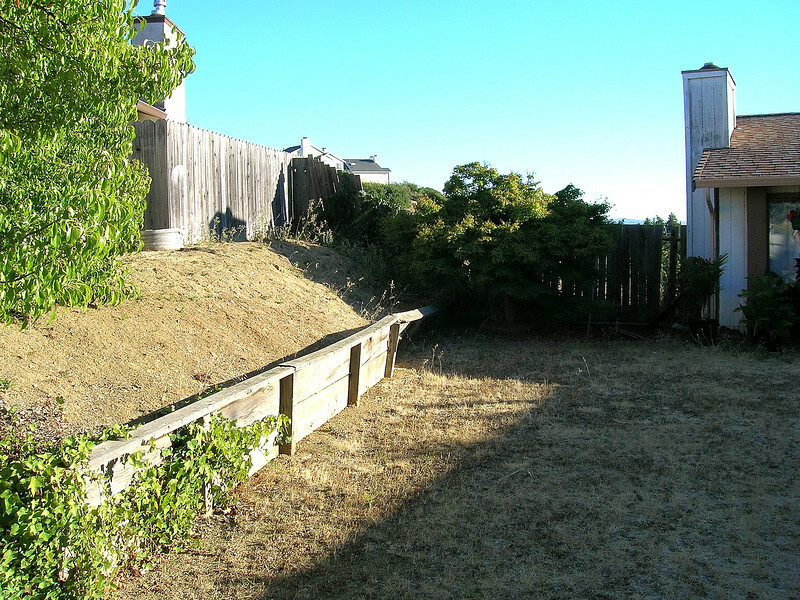 Before: The scourge of the neighborhood - dead grass, rotting retaining wall, collapsing fence, rat-infested ivy...UGH! I wouldn't want to live next door to me!